Nishant Tanwar is not cool, He is ‘MahaCool’. He has performed in 12 countries including USA, UK, Canada, Australia, Singapore, Netherlands to name a few. He was featured on Comedy Central Asia in 2016. He is never out of funny stories and life experiences as he takes digs at stereotypes and weird things that happen around us. Vipul Goyal is an electrical engineer graduate from IIT Bombay and is one of the main writers for the highly popular ‘The Viral Fever’ which is India’s first online TV for the youth. Within a short span of time, he has performed at all the premium colleges, corporates, entrepreneur summits and has been financially laughing his way to the banks. These comedy kings are sure to make you fall out of your seat laughing. 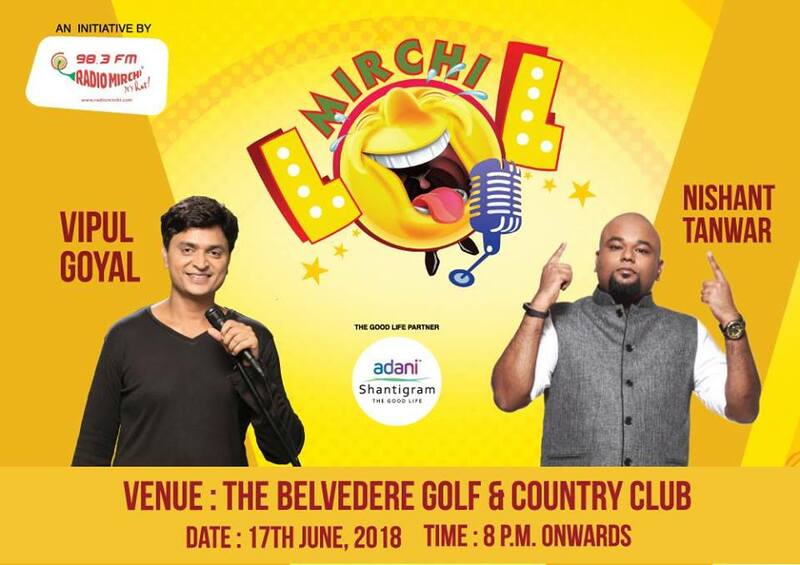 Come join the comedy roller-coaster with Nishant Tanwar and Vipul Goyal Live in Ahmedabad on Sunday, 17th June 2018 at The Belvedere Golf and Country Club, Adani Shantigram, Near Vaishnodevi Circle, 8 pm onwards.